Ready for a Samsung Galaxy S4 system dump and a chance to play with all of the goodies it contains? The folks over at SamMobile received one and have already begun pulling out apps for you to install. First up is the newest version of S Voice, the Siri-like voice actions application that was first introduced with the Galaxy S3. It’s still powered by Nuance’s Vlingo, so it’s certainly no Google Voice Search. But hey, if you like talking to your phone and found older versions of S Voice to be of use, feel free to give this new one a shot. You’ll be able to voice dial, create memos, schedule appointments and tasks, set alarms or timers, ask “what the weather is like,” and find local listings to the best restaurants. From what I can tell, nothing has really changed, other than the S Voice icon. Pro S Voice users, feel free to tell me what I’m missing. Once it finishes downloading, install as you would any sideloaded app. 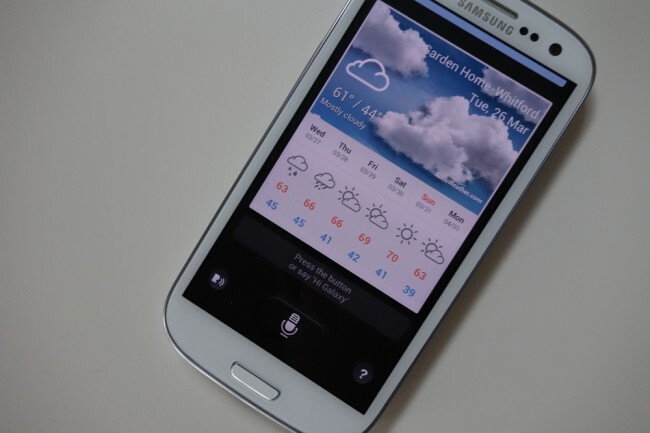 If you are installing on a Galaxy S3, it should install over the top of your current S Voice app. Should you decide that it’s not worth the update, you can uninstall and return to the stock version by uninstalling the update in the Application manager. *The .apk file works on both my Galaxy S3 and Nexus 4.